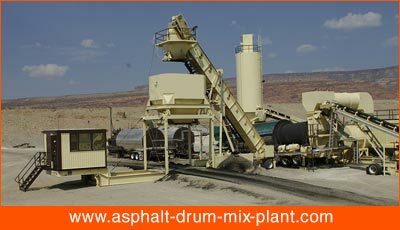 Our Portable Asphalt Plant is consistent drum blend compose and secluded in development for simplicity of support. They are basic in development and simple to work and keep up. They are completely programmed according to current drum blend innovation and worked by easy to understand electronic control board. Our Portable Asphalt Drum Mix Plants are made according to the global market standard to create the best quality hot blend material with low residue emanation and at low fuel utilization. This Asphalt Mixer Machine is completely programmed according to present day drum blend innovation and worked by easy to use electronic control board. Its particular development guarantees simplicity of activity and support. Our arrangement of solid asphalt plant model is a proficient black-top making Portable Asphalt Plant that can be introduced and set in the tractor, truck or trailer. It tends to be set into case for every unit. It tends to be stopped effortlessly in parking garages and furthermore can move essentially to another goal. Deliberately created units can be interconnected effortlessly and the plant can be influenced prepared for the generation at creation to site with a few simple settings. We manage the infrastructure of street development from over 10 years. We create and supply such apparatus to the universal market. Our hardware is requesting in Afghanistan, Namibia, Tanzania, Belize, Kenya, Mauritius, Nepal, Rwanda, Angola, Yemen and different nations of various mainlands. Our all the scopes of the compact black-top plant are favored for its most recent highlights alongside eco-friendliness and least power utilization.